Leah's Knits: Ed and Al Chart! Whew! 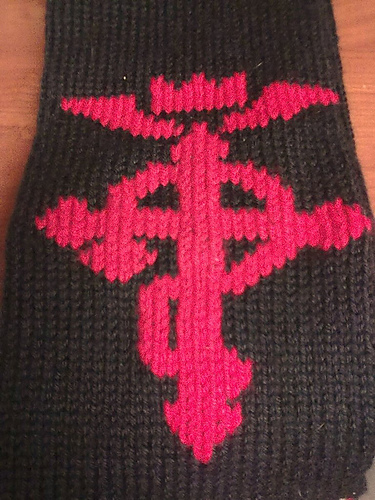 This is still on the DL, but I'm knitting my friend Joe a scarf for his birthday in February, based around FullMetal Alchemist. 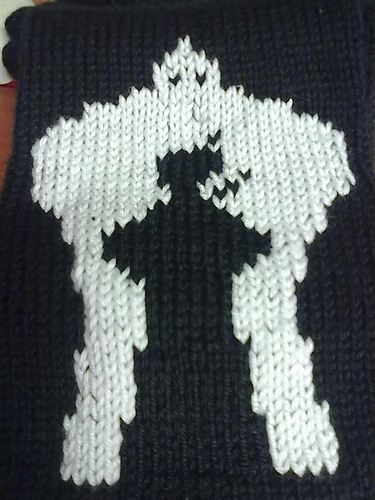 I finished the main chunk of scarf yesterday and worked on a pattern for one side of the scarf. A loooong time ago I made a FullMetal Alchemist chart with one of the symbols in case I wanted to use it for something for Joe, and then it kind of fell by the wayside. 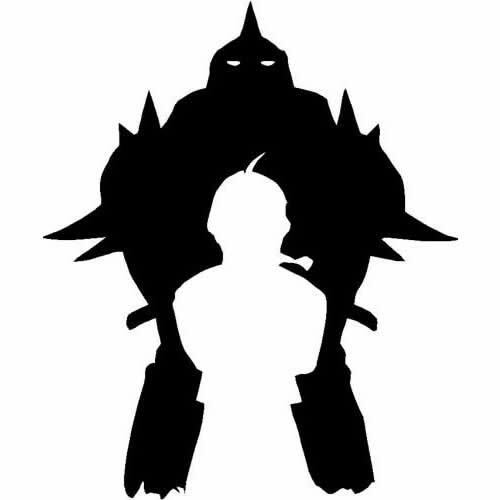 The image will actually have Al (the robot) being white, and Ed (guy in center) being black or red. 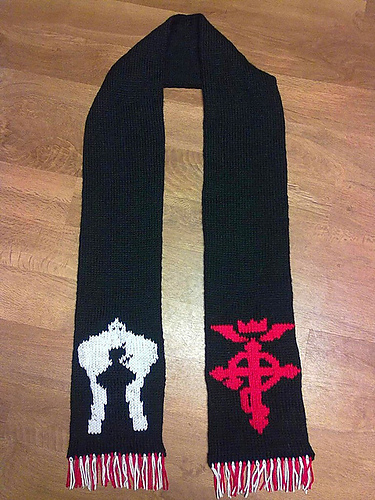 The scarf itself is black, which is why I'll have to change the colors. I suppose I could even make Al gray, as he IS gray, but I didn't think it would *POP* enough. ...but he doesn't have opposable thumbs! © Leah Villa. Watermark theme. Powered by Blogger.